The Friday Five: Grease: Live! “Grease: Live” is premiering this weekend with an all-star cast including Carlos PenaVega from BTR, Vanessa Hudgens, Keke Palmer, Carly Rae Jepsen and special guests DNCE and BoyzIIMen! We are so excited to watch and sing along on Sunday night! The cast is sure to dazzle audiences and bring “Grease” to a whole new generation. Check out our Friday Five songs we can’t wait to see live! Tune into FOX at 7pm on Sunday to watch it live! It’ll be fun to see Carlos PenaVega chime in on this track and see him put his “Dancing With The Stars” skills on display! BoyzIIMen will guest star as Teen Angel in Sunday nights broadcast and their harmonies on this song are going to be angelic, indeed! The whole cast together singing this one will bring a tear to our eyes as we remember Vanessa Hudgen’s full cast finale from every HSM movie. Probably the most iconic song from the movie. Carlos and Vanessa gave a little preview of this number on TODAY! It feels like we just wrote our 2014 Albums of the Year post about 5 minutes ago, but it’s time to look back on our favorite albums of 2015! Here are our picks for our top pop albums of the year. We included 2 EPs because they were too good NOT to and we’re crossing our fingers for full albums from them next year! After a public split from The Biebs, Selena Gomez is back! “Revival” was well worth the wait. The Vamps are poised to take over America with their new album and it’s about time – they’re so good! Hilary Duff’s 5th studio album was well worth the (long!) wait. This EP makes us want to sway and dance to every song! We can’t wait for a full album from Joe, Cole, JinJoo, and Jack. This EP was one of our favorites that came out in 2015 – every track is a JAM! We’re anxious for new music from Jake Miller. 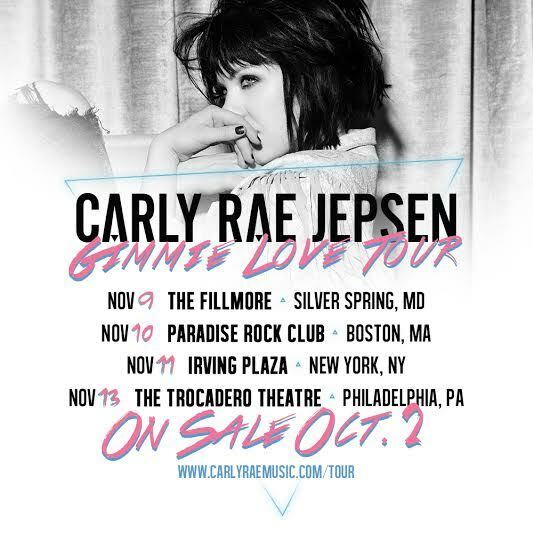 Carly Rae Jepsen announced a new tour for early 2016 and it’s hitting cities across the US! The tour is in support of her album, “E·MO·TION,” one of our favorite albums of the year. We’re thrilled she’s finally taking the album out on a full tour! Tickets go on sale this Friday, December 11th. Check with your venue for exact on-sale time. Pickup a copy of “E·MO·TION” on iTunes now and watch the video for “Run Away With Me” below! 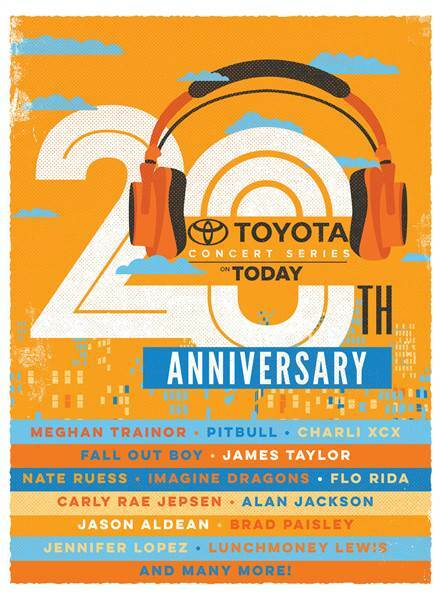 Be sure to follow Carly Rae Jepsen & Secret Fangirls for more updates! Carly Rae Jepsen just announced she is going on a headlining tour this Fall in support of her new album E•MO•TION! The “Gimme Love” Tour is hitting clubs across the East Coast in November. Pre-sale tickets go on sale through Fahlo this Wednesday, September 30th, while tickets go on sale to the public Friday, October 2nd. Check out the dates below! Watch Carly Rae’s video for “Run Away With Me” and pickup a copy of the album on iTunes now! Carly Rae Jepsen knows how to craft a hit song and make a cute video. “Run Away With Me” shows off Carly Rae’s fun-loving, adventurous life as she goofs around and plays tourist in Paris, New York and Tokyo! The video matches the romantic feeling of the song, making you feel like she took you on the best vacation of your life: dancing on NYC subway platforms, taking in Paris from the top of the Eiffel Tower, and singing karaoke in true Tokyo fashion. Carly Rae’s 80’s inspired, synth heavy sound on her new album, “EM.O.TION” is just what we’ve been wanting for this summer! Watch the video for “Run Away With Me” below. Preorder your copy of “EM.O.TION” on iTunes or Amazon now. Be sure to follow Carly Rae Jepsen & Secret Fangirls on Twitter.